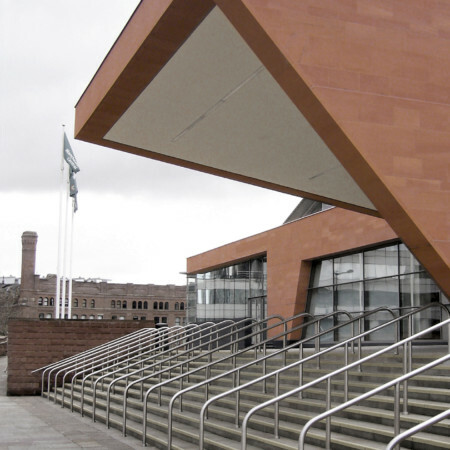 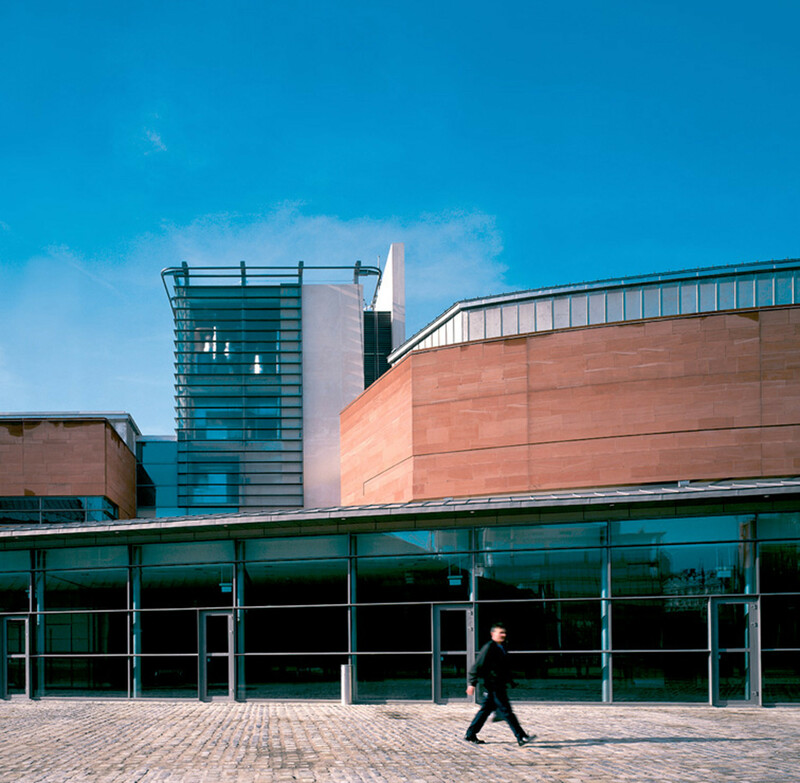 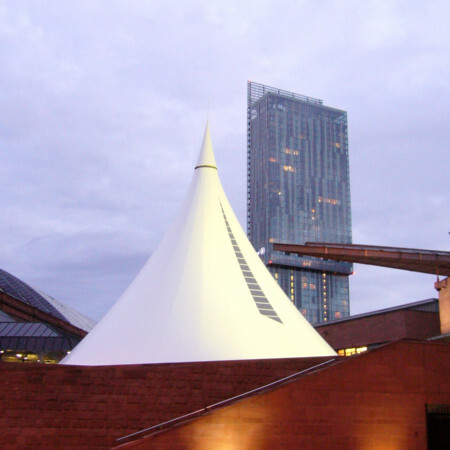 The Manchester International Convention Centre (now Manchester Central) comprises an 800 seat auditorium, an 1800 m² banqueting and exhibition hall, together with associated meeting rooms, foyers and back of house facilities. 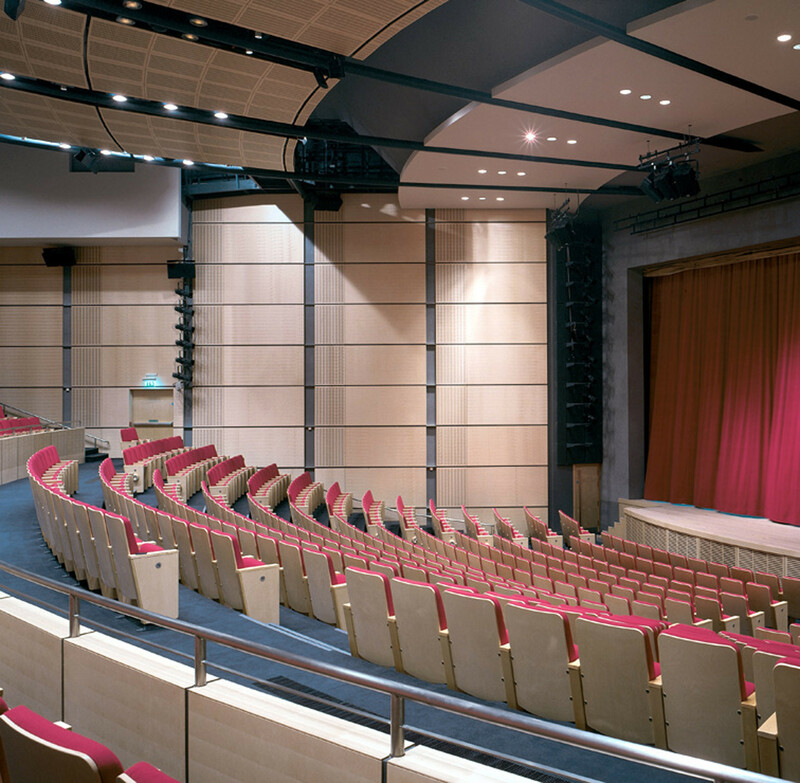 The main auditorium is relatively modest in scale, its form acoustically tailored to speech, not music. 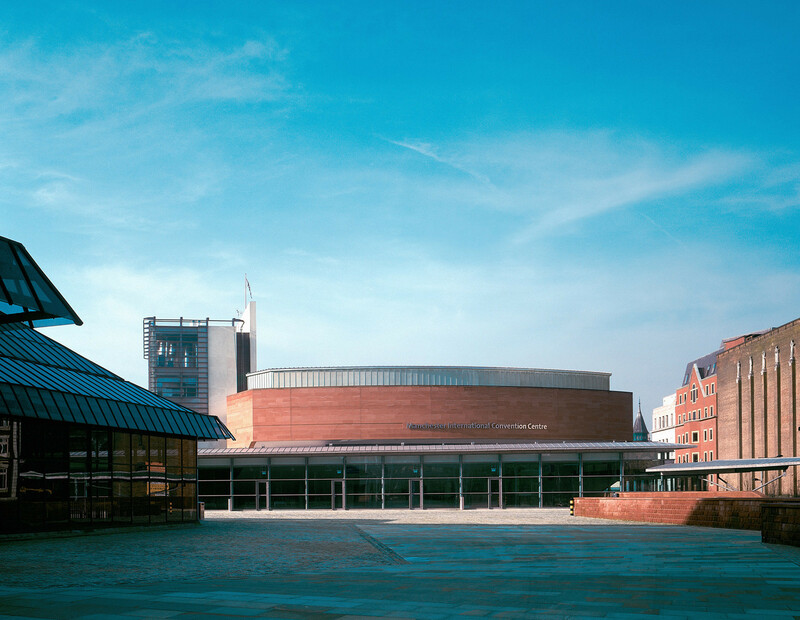 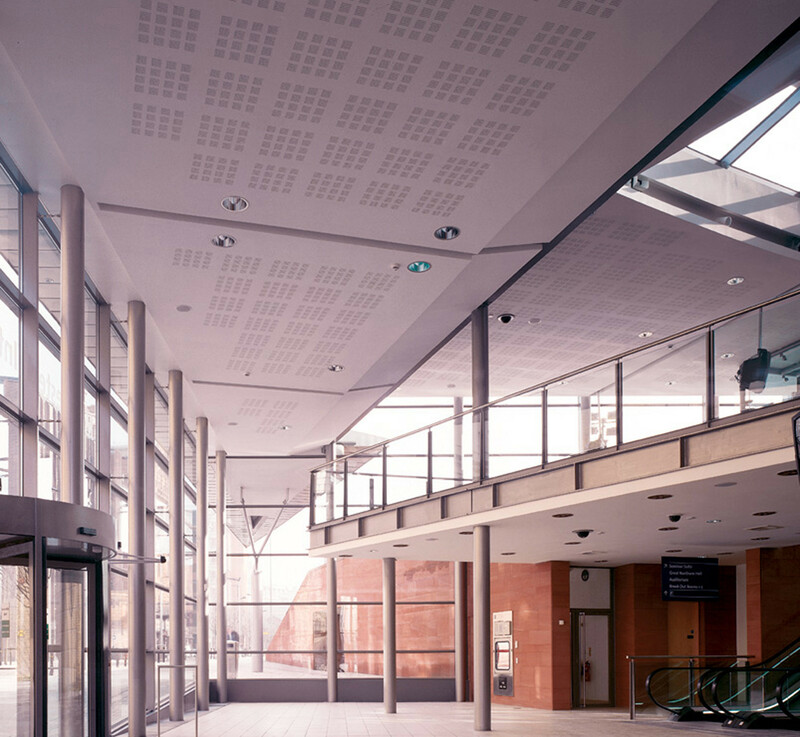 The other principal space in the building, a multi-purpose hall, is 2,000 m² in area – ideal for exhibitions, large banquets and shows but not intended to compete with the existing larger Manchester Central hall (G-Mex) just yards away. 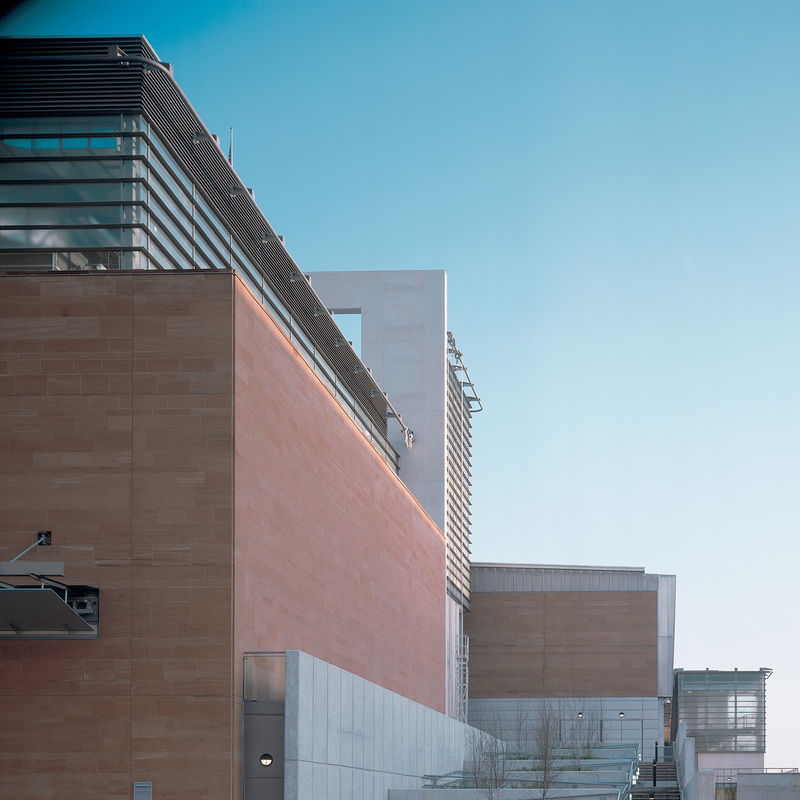 The straightforward diagram of the building is completed by a linking tower containing plant, WCs, staircases and lifts.